I see that the last SB .aar is older than one year so here is a new. 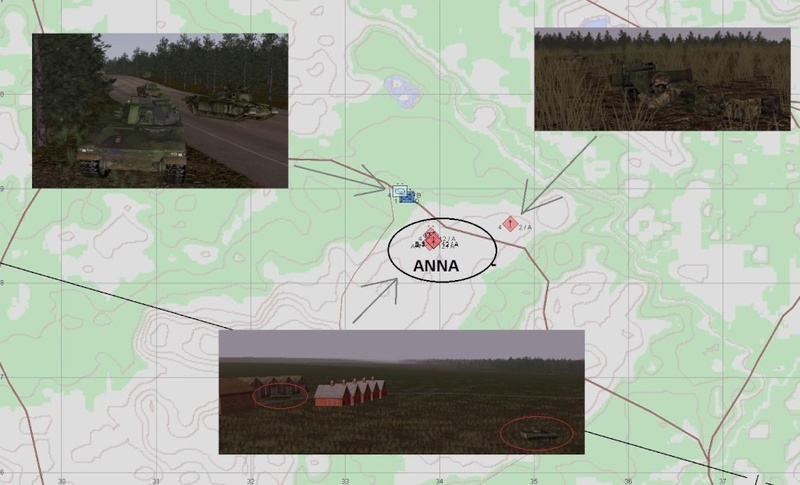 The battle started on 25.01.2012 @ 2000 GMT, the name of the Scenario is: "TFB-1 The assault - C2". I write this AAR in my view. 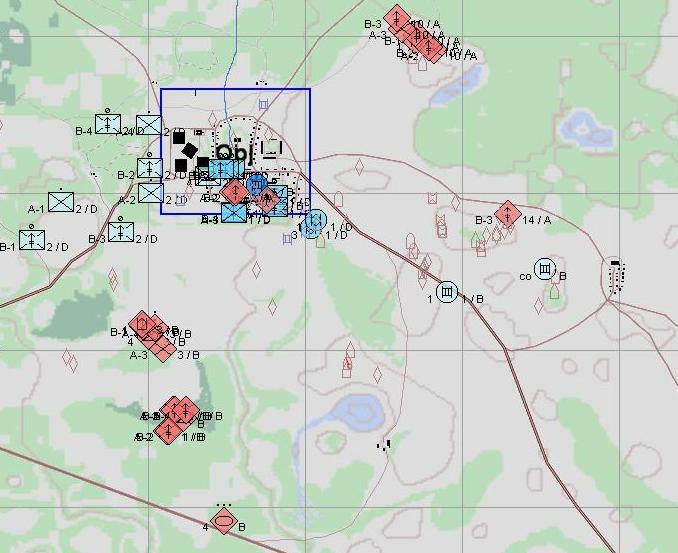 Welcome to Sweden, the current situation is that a large russian assault is taking place. 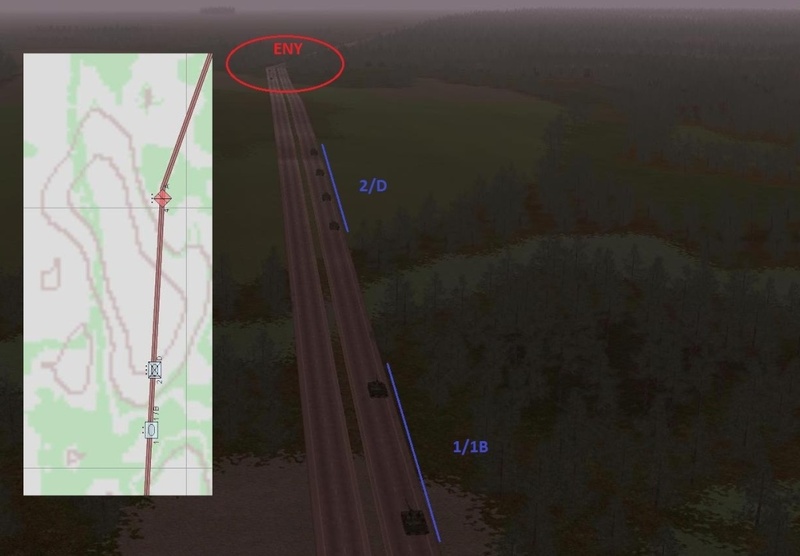 The enemy is assaulting by air in the region of Enköping, Skara and Linköping. By sea all along the eastcoast and by land through Norrland pushing south. 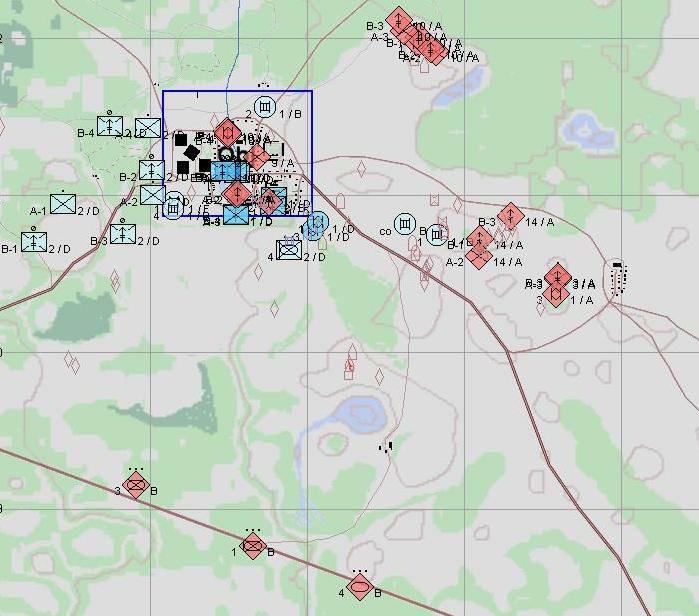 Our Taskforce has been assigned to defend and support the mobilisation of all swedish units around Skövde, that means mainly the 4th armor regement, 2nd Support regement and the 3rd Cavalry regement. A large number of airassault units has been droped around our location. Our job is to take them out, to buy time for the 4th armor to mobilise. 59th Airassault regement is deployed in our area, their 2nd btn is currently located in and around the small village of Vering. The coalition airforce has been pounding them hard, so expect a low fighting spirit, however they are still likely to be defending the area until the last man. Further east the 3rd and 4th btn are located, to some extrent they will send reinforcements if the village is overrun. 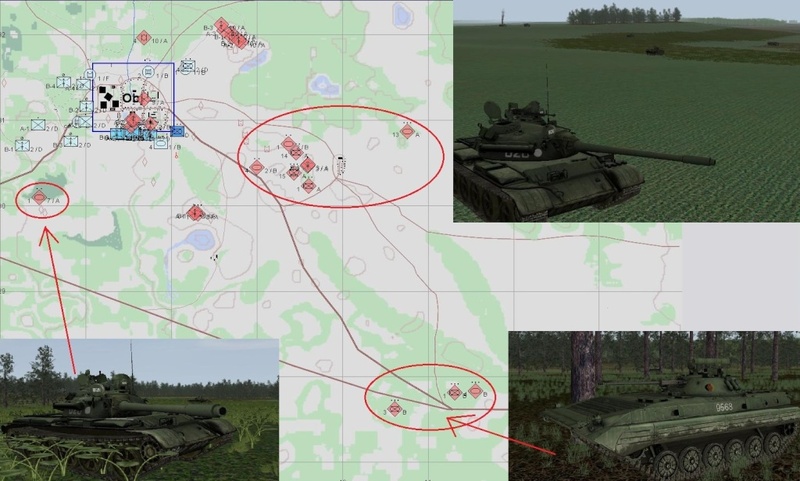 They are reinforced with T-72 and BMPs so take caution. We can afford one mechcoy to take the village, and hold it. If the enemy is about to retake the village we will dispatch another coy to assist you. But try to solve it by yourself. Advance and take the village of Vering, set up defense and defeat any attemt to retake the village. 2nd PzHbtn (Germany) is supporting you with 9 150mm pieces. 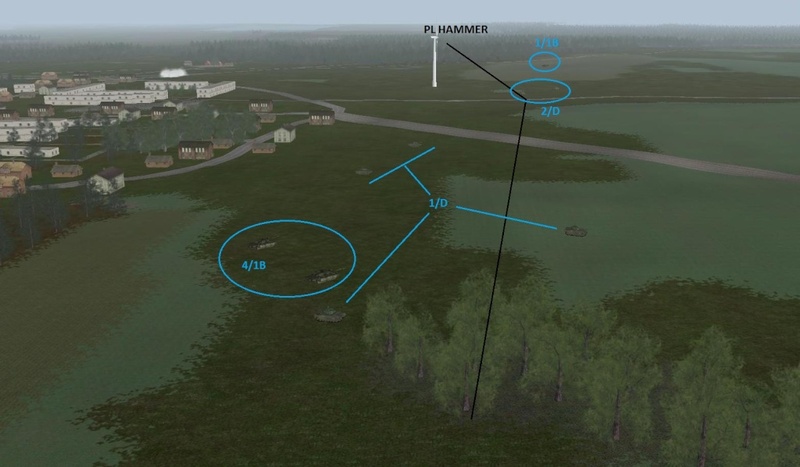 Daskal split the Team in Battlegroup 1 and 2. We had no enemy contact until the 1st Battlegroup (BG1) approached the intermediate objective THOMAS. after a brief but heavy fight the ENY lost all of their light vehicles in the area and the Battlegroup (BG) moves forward. 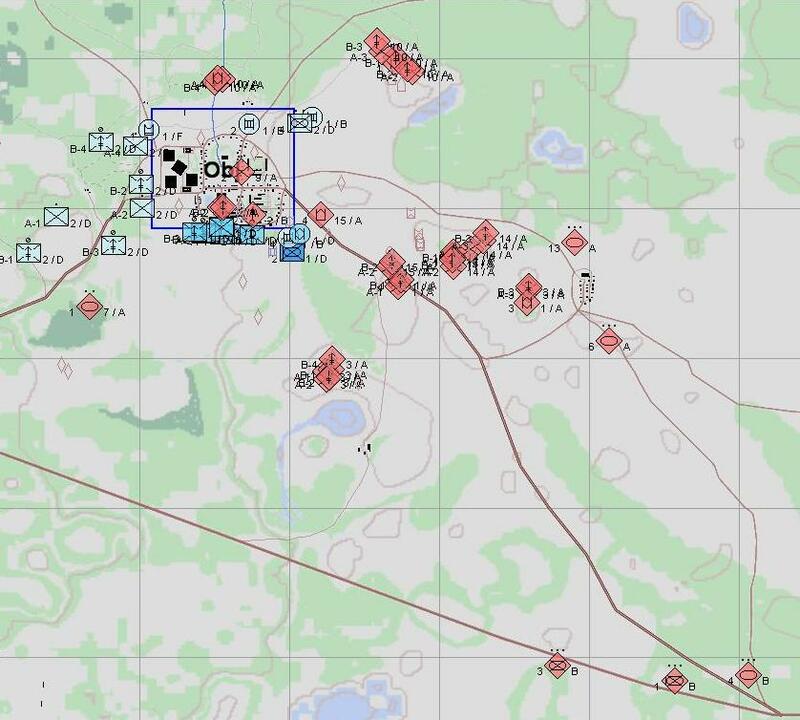 The Battlegrpup 2 (BG2) had the same easy way like the Battlegroup 1 (BG1) till intermediate objective ANNA there was a small ENY-Group but after 2 min it was all over for the ENY. 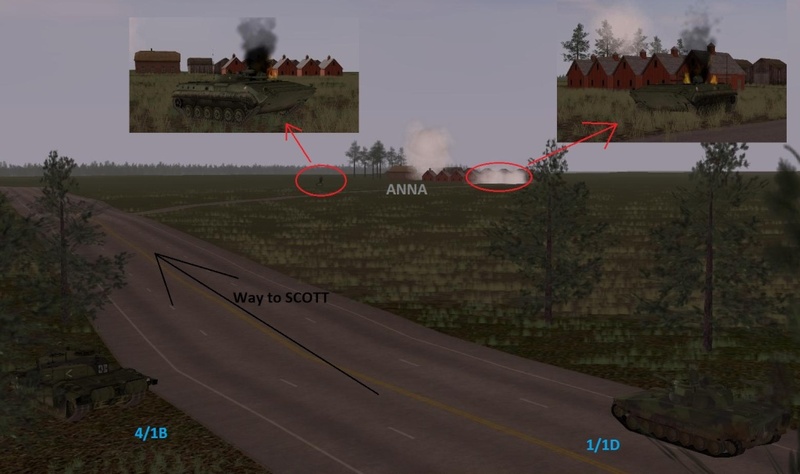 In the same Time where BG2 had here fight at ANNA, reached BG1 on KRISTY and cam in here next "easy" fight. and there lost BG1 one of here CV90 he was immobilized but the mechanics work on the problem. 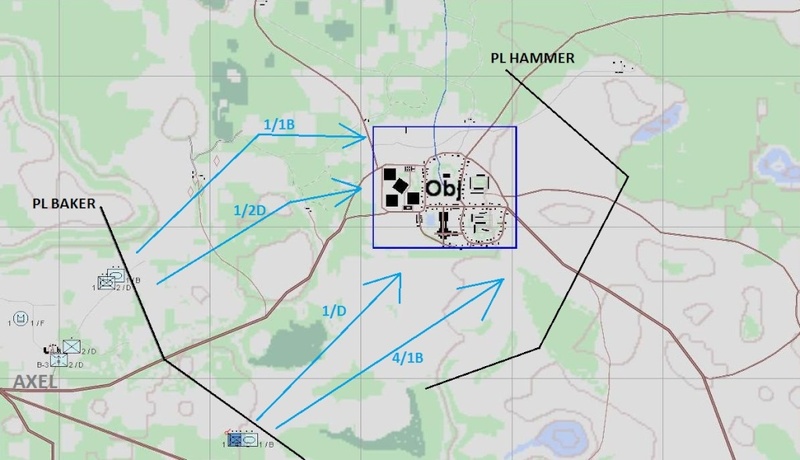 After this littel or easy fights we all moved forward to PL BAKER for attacking the Obj. On the way to PL Baker we had no big fights with any ENY Troops, only BG1 killed 4 T-55 in the area of PL Baker but it was no big deal. The Plan: The Battlegroups are moving onto the objective, surrounding it from the south and western flanks. 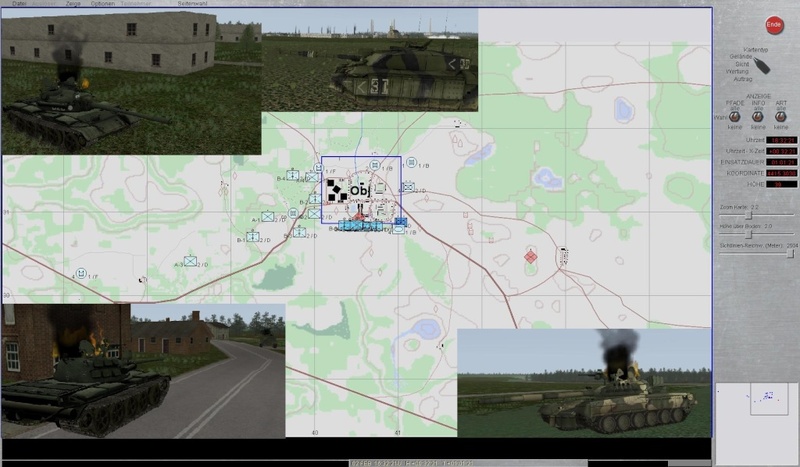 BG1 moves in from the West, the tank section advances and sets up on the North-west side of the objective, overwatching east and directly into the objective. 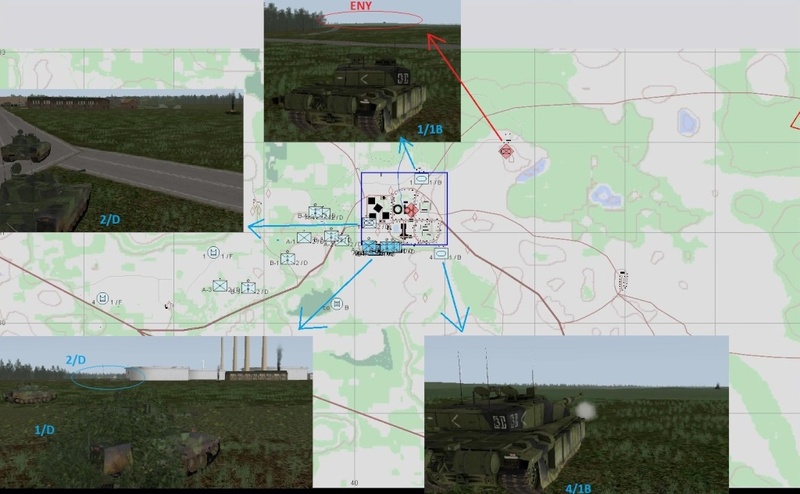 BG2 moves up to the southern edge of the objective and engages targets to the north and to the east. 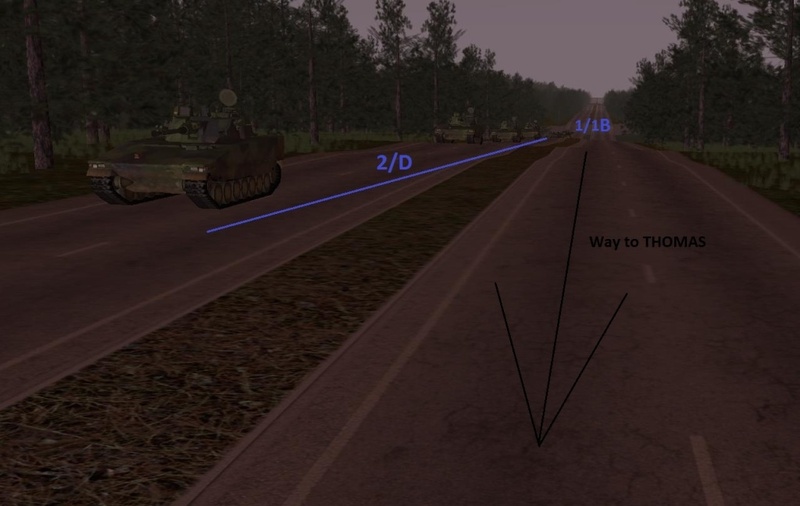 After the tank sections have cleared out heavy armour in the area IFV sections are to move into the objective and to deploy infantry elements. 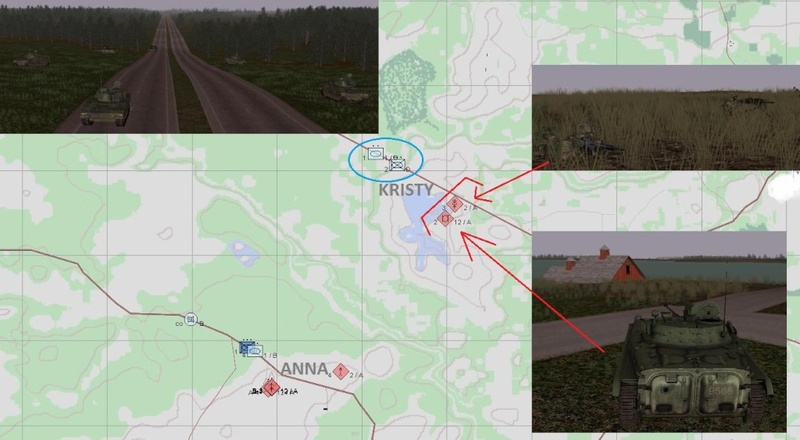 and here a 5min Map screen till the End. 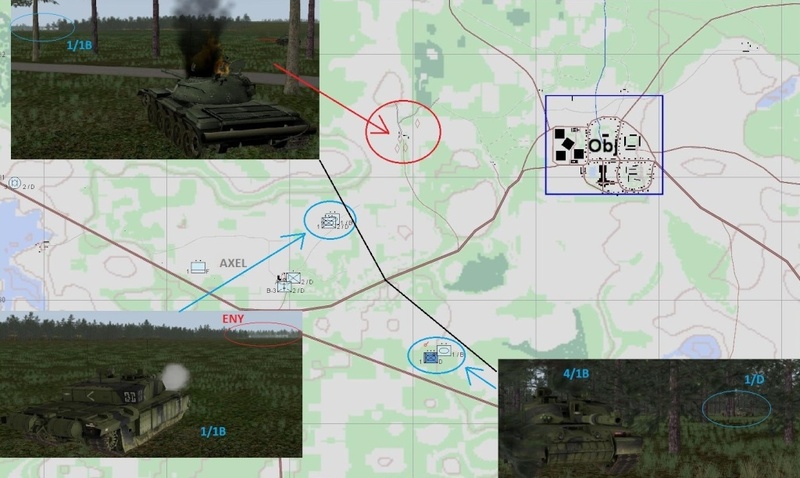 At least we hold the Obj and killed all Tank only some of ENY Troop stay in the area but i think there a lucky that there are alive. 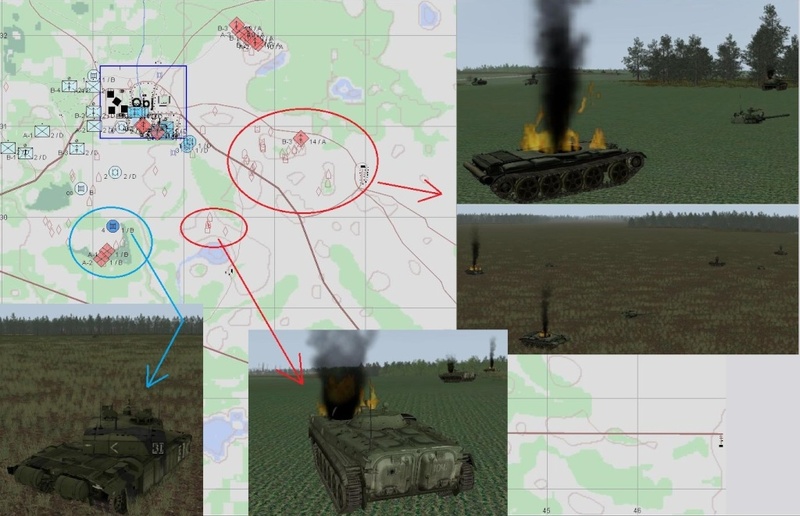 We lost 4 CV90 and 3 Chally2 but we win and the ENY lost much more as we are. I hope it is okay that i Post a new AAR and I you enjoy it. 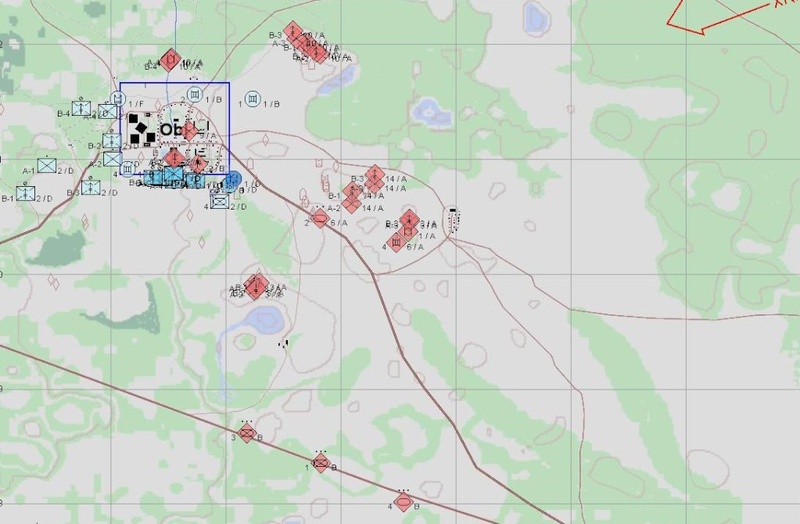 Excellent doc, very nice AAR.